Joseph McClendon III is the founder of the PRO-SEQUENCES RESEARCH GROUP a leading Peak Performance coaching organization that works with leaders in the political, entertainment and business communities internationally. ” As an instructor at the university of California, Mr. McClendon, (also known as “Coach”) taught Re-engineering, Leadership, Management and Advanced Communication courses for the Engineering and Management Extension program. Joseph holds several certifications in the Neuro sciences and has become an expert in assisting others in overcoming fears, phobias and emotional challenges. He also serves as the Senior Head Trainer and Instructor at Robbins Research’s highly acclaimed Mastery University, attended by business entrepreneurs and CEOs from 46 nations. The faculty includes General Norman Schwarzkopf, financial genius Peter Lynch, and marketing master Jay Abraham. Known for his unique brand of leadership, presentation style, humor and passion for living, Coach impacts by example. His ability to inspire others to take action and achieve greater results is a direct result of living by the principles that he espouses. Having performed hundreds of workshops, coaching sessions, seminars and training programs, one on one therapeutic intervention, Mr. McClendon is one of the most sought after “Ultimate performance” coaches in the business. His remarkable ability to go straight to the core of the challenge and effect rapid change makes him a unique commodity as a turn around specialist and success coach. Joseph brings to the table years of practical experience and technique. Well versed in presenting new material as well as his own brand of entertaining delivery, Joseph prides himself on holding himself to the same high standards that his company so elegantly is known for. He believes in getting the job done effectively, lovingly and tailored to each individuals needs. 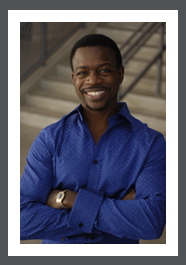 Mr. McClendon has authored two best selling books with world famous peak performance coach Anthony Robbins. He has also founded five companies, all in the realm of personal development and personal growth. As the senior head trainer for the Robbins Research international and has worked side by side with Anthony Robbins for over two decades. Joseph trains other trainers and coaches to serve and assist others in getting the best out of themselves and their lives. Entering his 12th semester as an instructor at the University of Southern California Las Angeles (UCLA). Joseph teaches leadership and communication to the engineering and management department of the college.